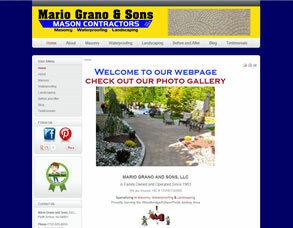 Mario Grano and Sons is a well know mason company that works in Middlesex County. The website reflects their logo / brand for them. Owner can add their own photos easily!